Here is Johnny Dodds and New Orleans Wanderers play “Perdido Street Blues”. Here is Jimmie Noone’s Apex Club Orchestra play “Every Evening”. 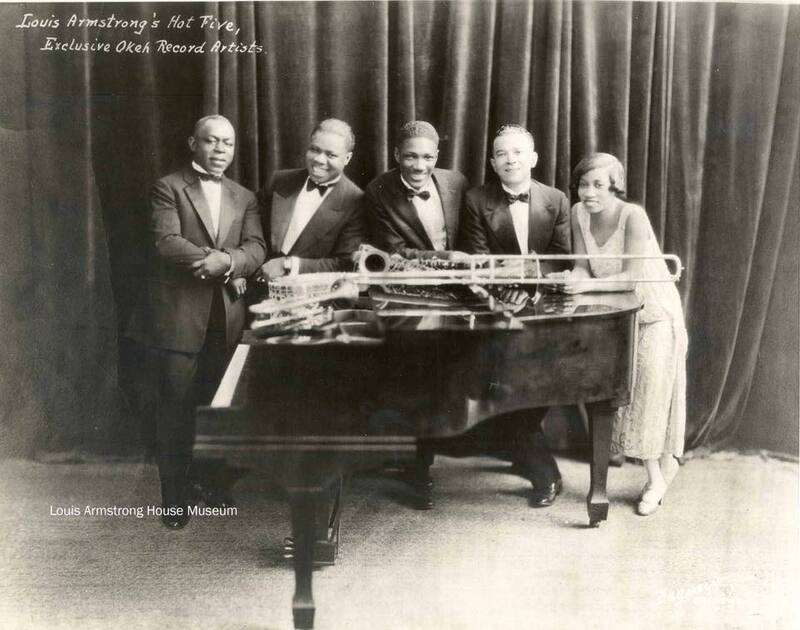 Jimmie Noone(cl),Joe Poston (as),Earl Hines(p),Buddy Scott (banjo),Johnny Wells (ds) May 1928. Here is Elmer Schoebel and his Friars Society Orchestra play “Copenhagen”. Here is Benny Goodman and his Boys play “Muskrat Ramble”. 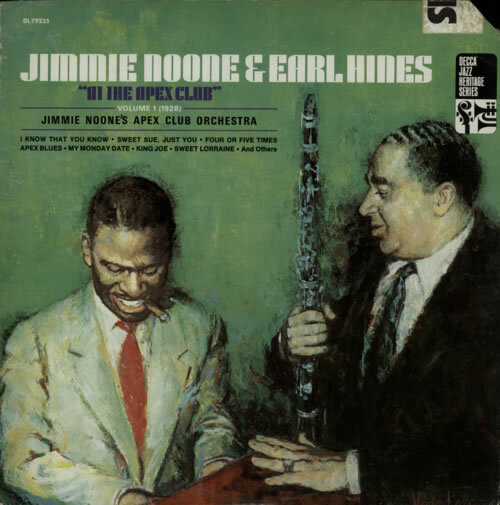 Here is Earl Hines and His Orchestra play “Blue Nights”. 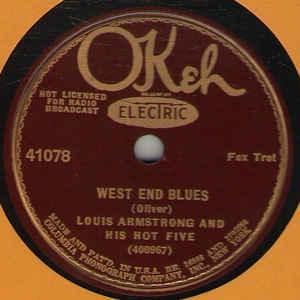 Here is Louis Armstrong and his Hot Five play “Struttin’ with Some Barbecue”. 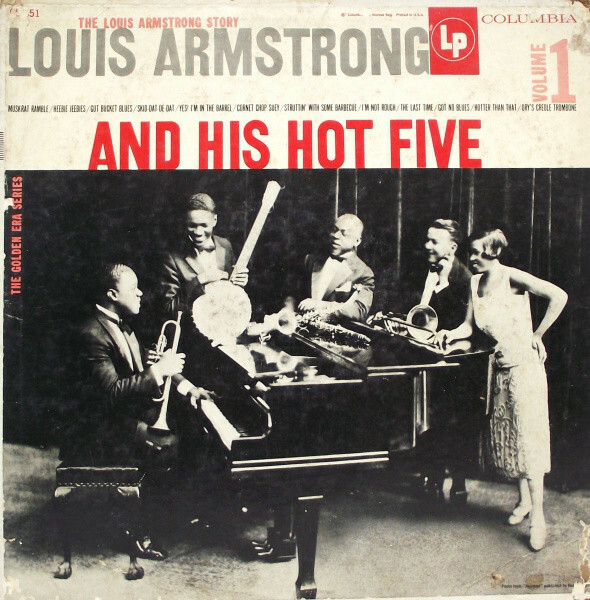 Here is Louis Armstrong and his Hot Five play “Once In A While”. 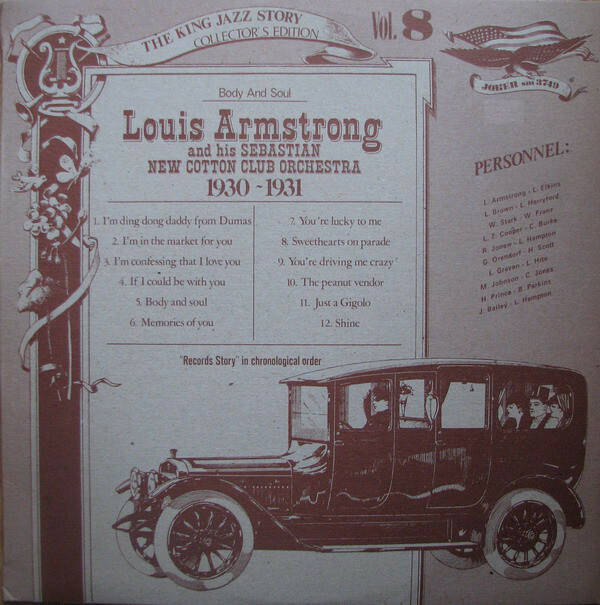 Here is Jack Teagarden & Louis Armstrong sing “Old Rockin’ Chair”. Here is Fats Waller sings “Ain’t Misbehavin’” and “Stormy Weather” (1943). Here is Les McCann & Eddie Harris play “Compared To What”. Here is Nicki Parrott with Les Paul Trio play “I’ll Be Your Baby Tonight”. Here is Andrea Motis and Joan Chamorro Quintet with Scott Hamilton play “Lullaby of Birdland”. Here is Gerry Mulligan Sings “I Never Was A Young Man”. Here is Esperanza Spalding sings “Little Fly” . Here is 「小川理子」Riko Ogawa Swinging’ Stride Jazz Band play “How Long Has This Been Goin’ On”. 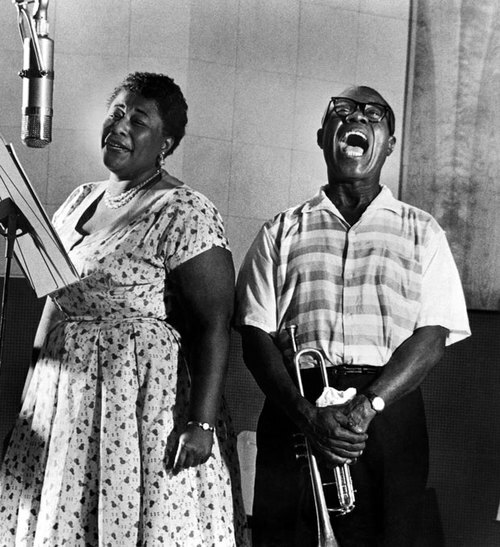 Here is Frank Sinatra and Louis Armstrong sing “Birth of the Blues”. Photo above of Wardell Gray with the Earl Hines Orchestra by courtesy of Alchetron. Here is Earl Hines And His Orchestra with Wardell Gray play “Fatha’s idea”. 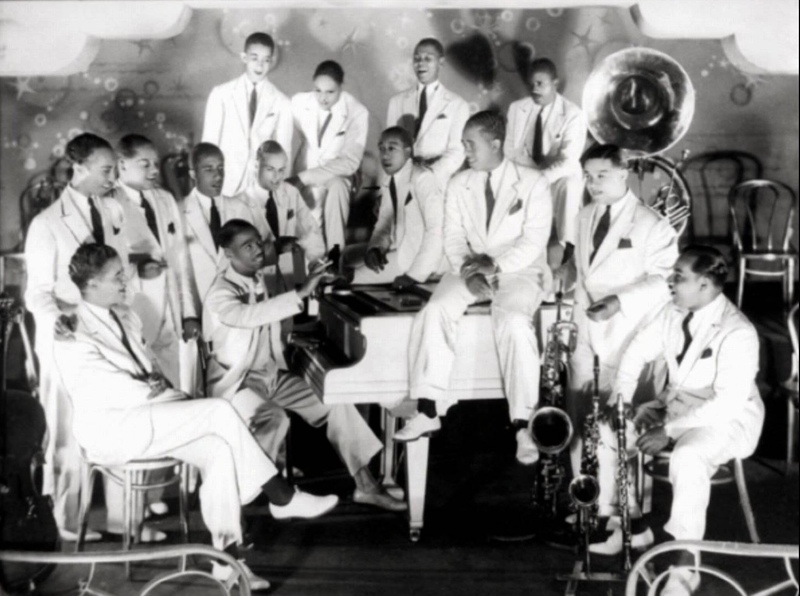 Here is Earl Hines And His Orchestra with Wardell Gray play “Let’s get started. Here is Wardell Gray Quartet play “The man I love”. 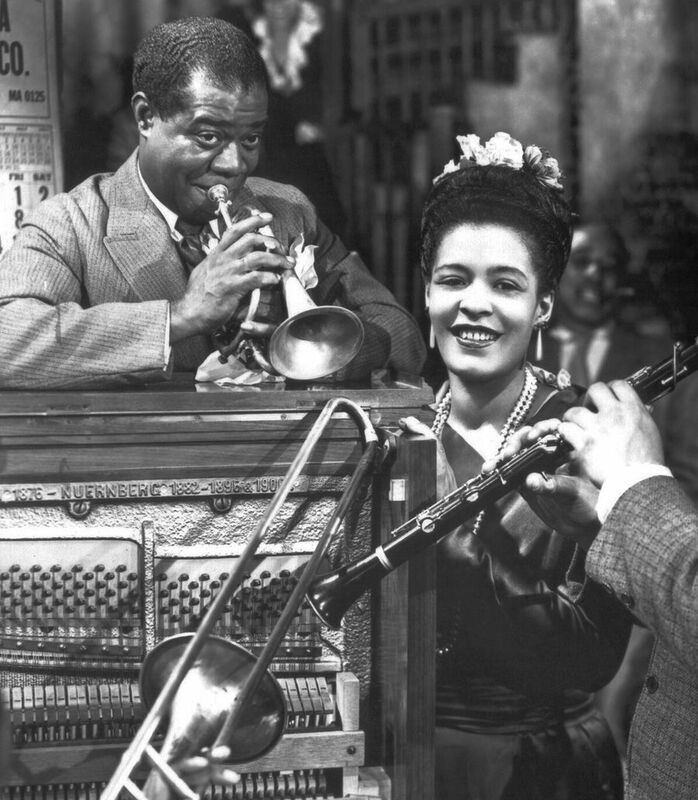 Here is Charlie Parker’s New All Stars with Wardell Gray play “Stupendous”. Here is Billy Eckstine and his Orchestra with Wardell Gray play “Blues for sale”. Here is Wardell Gray Quintet/Gene Norman’s Just Jazz Concert play “Blue Lou”. Here is The Tadd Dameron Septet play “Jahbero”. 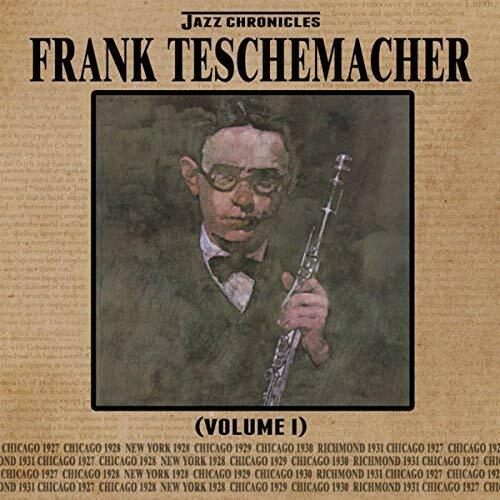 Here is Benny Goodman And His Orchestra play “I’ll See You In My Dreams”. Here is Benny Goodman And His Orchestra play “Undercurrent Blues”. Here is Wardell Gray Quartet play “Easy living”. 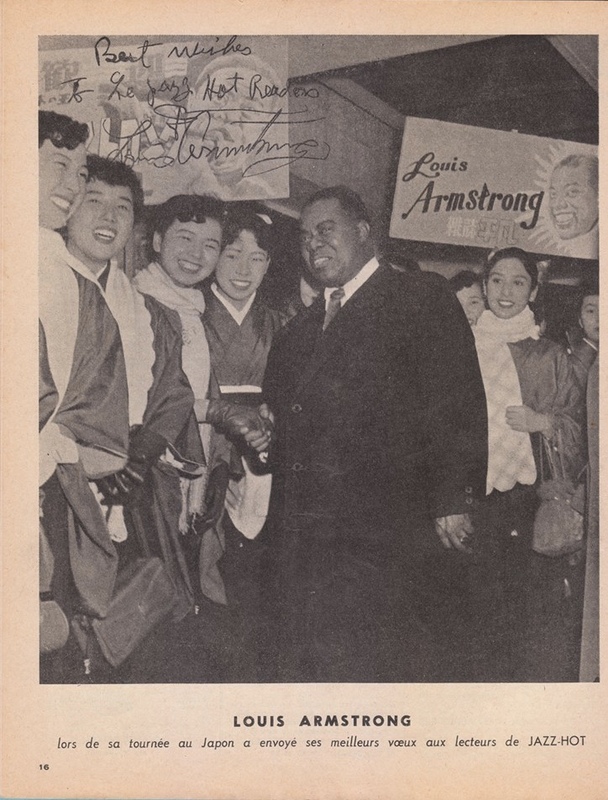 Here is Count Basie & His Sextet play “One o’clock jump”. Here is Count Basie And His Orchestra “Little pony”. 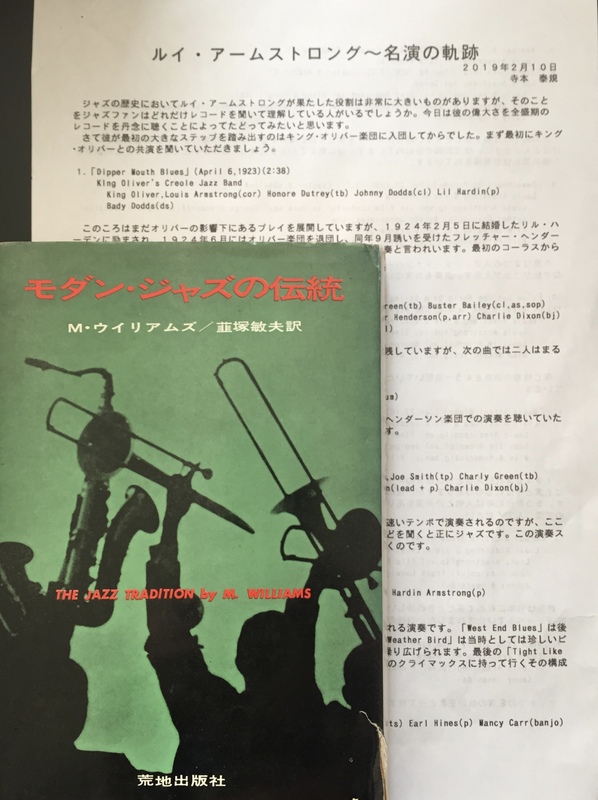 Here is Just Jazz All Stars: Louis Bellson Just Jazz All Stars “The Jeep is jumpin’ “. 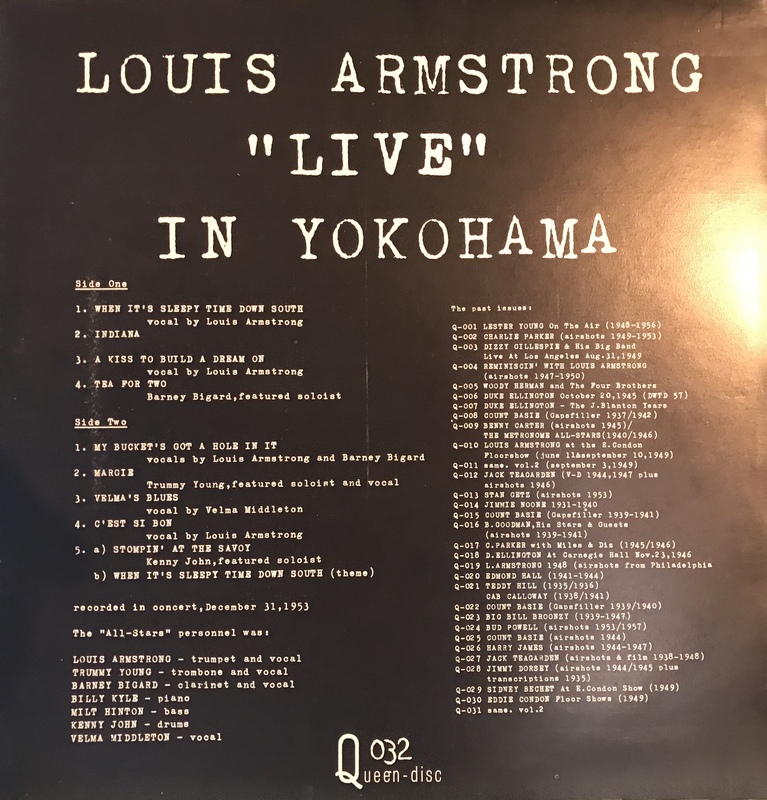 Here is Louis Bellson Orchestra “For Europeans only”. Here is Wardell Gray Sextet “Blues in the closet”. 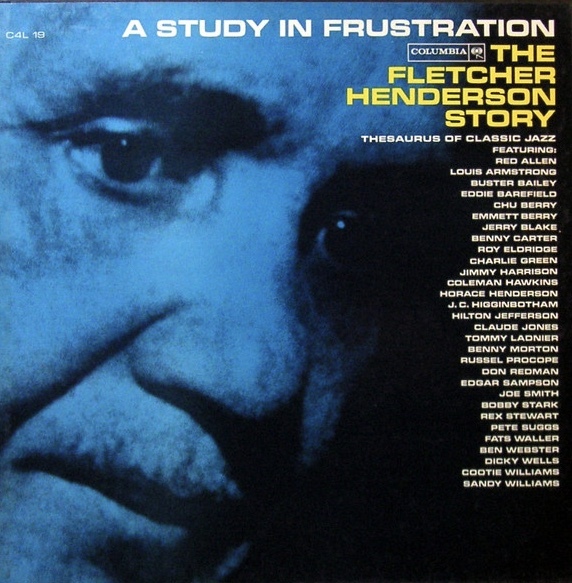 Recently I purchased the 10 inches record of BlueNote label. 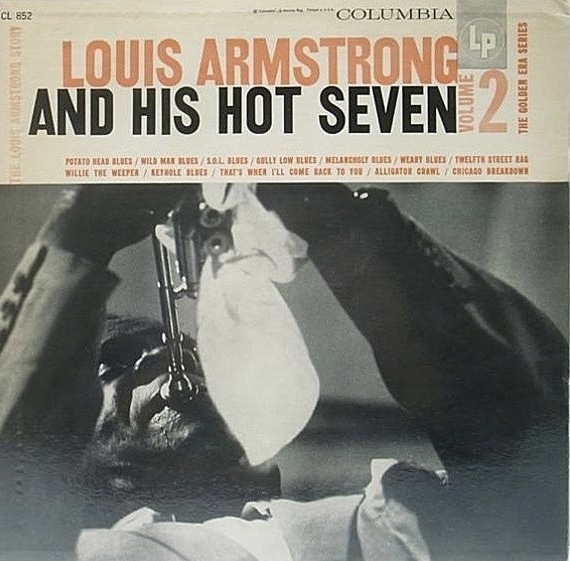 It is “Art Hodes and his hot 7”. So I would like to post about Art Hodes. Art Hodes was born November 14, 1904 in born in Ukraine. 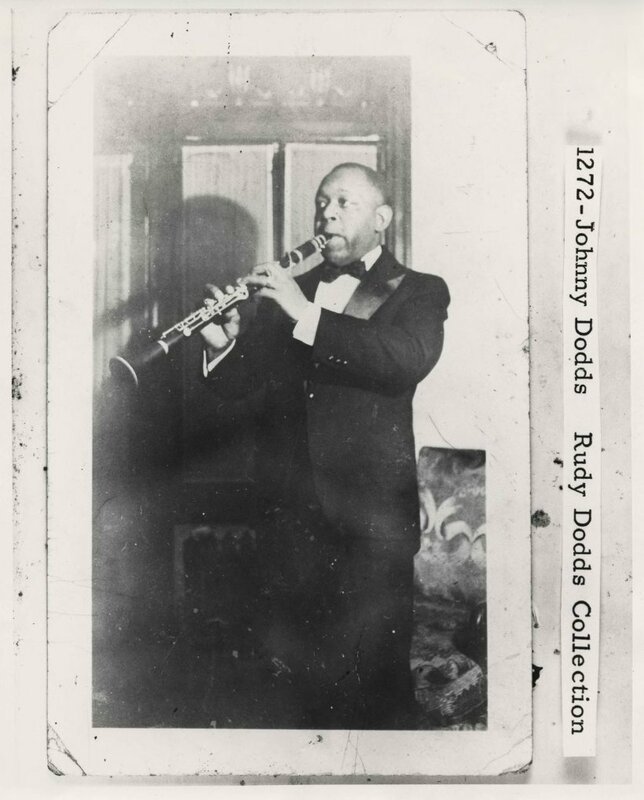 In those days the pioneering New Orleans musicians came to Chicago in the 1920’s. 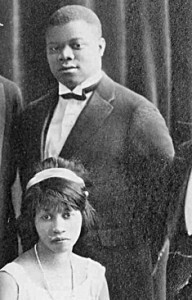 Louis Armstrong standing beside King Oliver. Photo courtesy of neajazzintheschools.org. 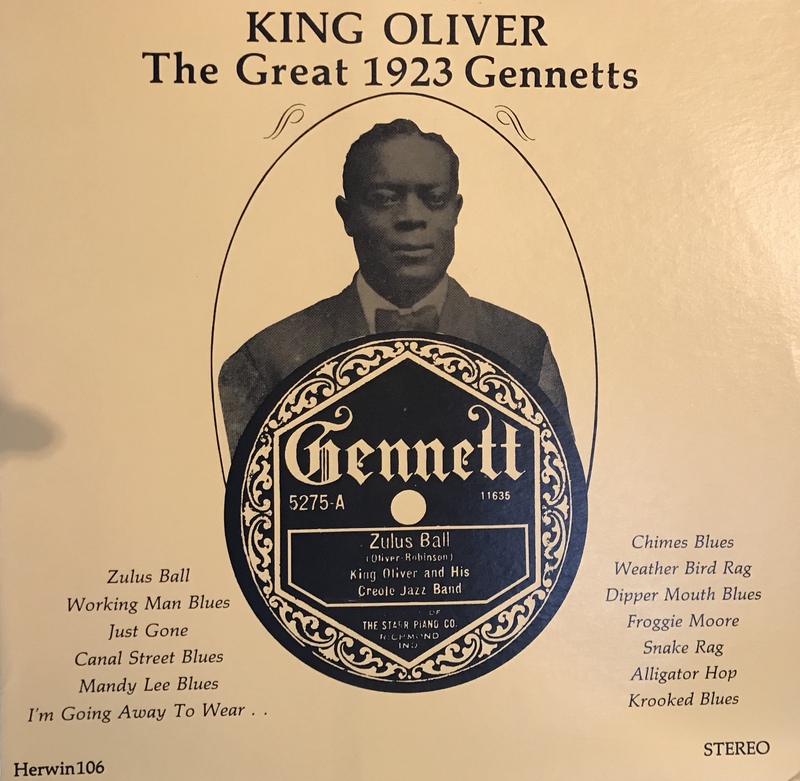 When he was in his late teens and early twenties, he heard some jazz legends’ performance such as King Oliver, Louis Armstrong, and Jelly Roll Morton and Earl Hines and Jimmy Noone in the nightspots of his city. 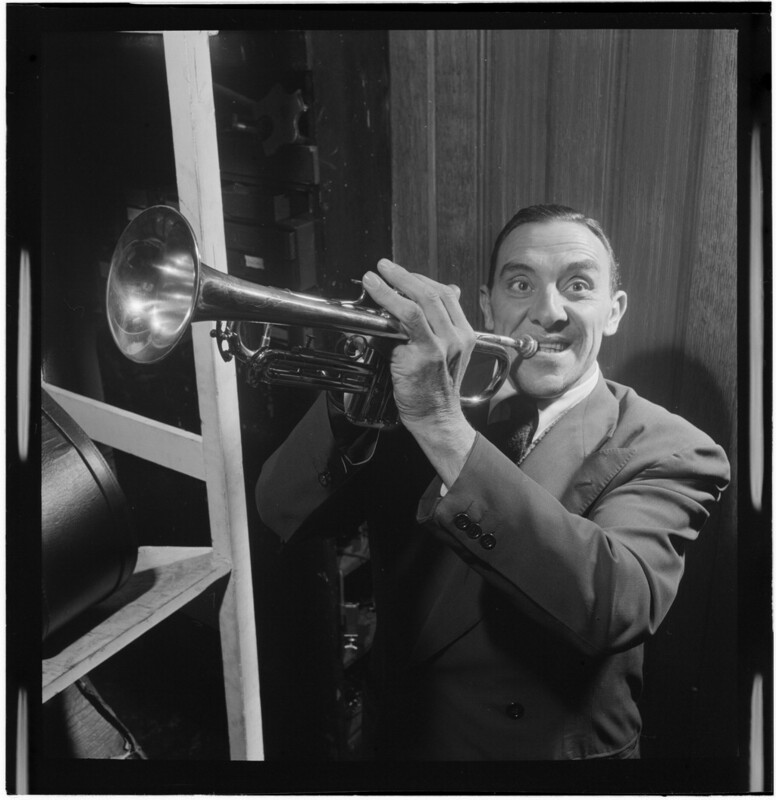 Eventually, Hodes played with Armstrong, and later with Wingy Manone, Gene Krupa, and Muggsy Spanier. 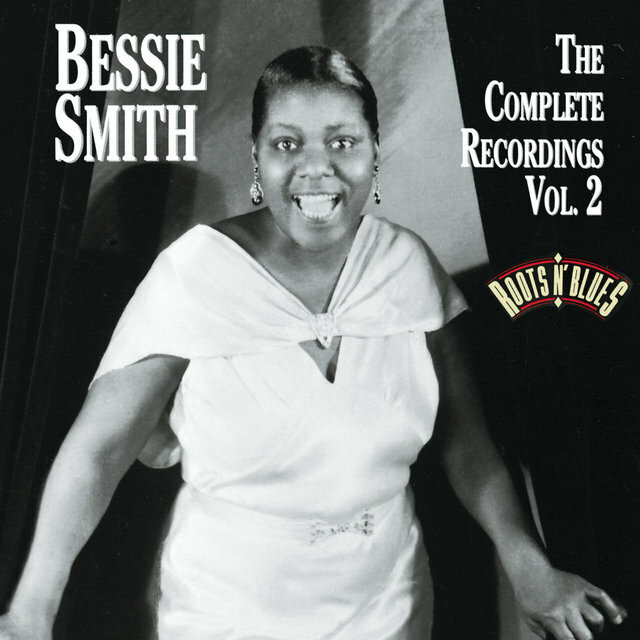 Also he was fond of the blues, and was greatly influenced by Bessie Smith. 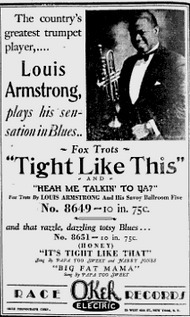 In 1938 he moved to New York and played with Joe Marsala and Mezz Mezzrow before forming his own band in 1941. “Piano Workshop” was held in Berlin October 30, 1965. This event was organised by Joachim Ernst Berendt. He wanted to show the development of jazz piano. So he did not choose Oscar Peterson and Erroll Garner. Earl Hines was the father of jazz piano improvisation. Teddy Wilson was on hand to represent the swing piano style. Lennie Tristano served as an exponent of modern exploratory piano playing. 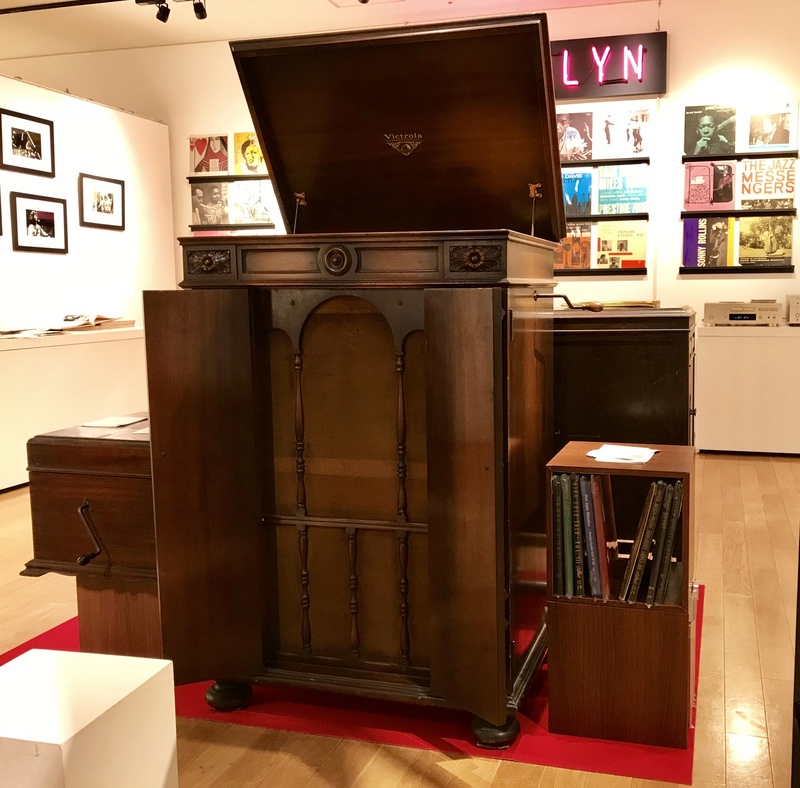 It seems unnecessary to explain about Bill Evans and John Lewis. Jaki Byard alternated free and stride passages on the same tune. Unfortunately Bud Powell could not participate because of sickness. Also two pianists could not participate. Thelonious Monk was touring Europe with his own band. Art Tatum already had died in 1956. The program began started from Earl Hines. Then Teddy Wilson, John Lewis, Lennie Tristano, Bill Evans, and Jaki Byard appeared in order. The piano players were supported by bassist Niels-Henning Ørsted Pedersen and drummer Alan Dawson. Here is Earl Hines plays “Memories of you”. 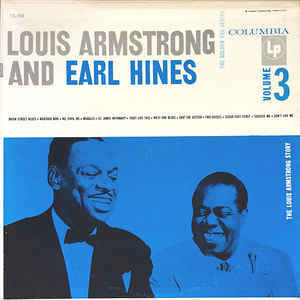 Here is Earl Hines & Teddy Wilson play “All Of Me”. Here is John Lewis trio play “Django”. Here is Lennie Tristano Piano Solo plays “G Minor Complex”. Here is Bill Evans trio play “Beautiful Love”. Here is Jaki Byard plays “Free Improvisation”.